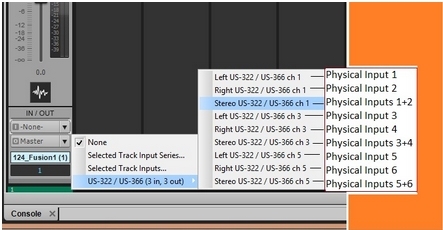 When you first set up your audio device in SONAR, you may notice that only the odd-numbered inputs and outputs are showing in the Preferences > Audio – Devices. At this point, you’re probably wondering why you cannot access the even-numbered inputs and outputs. Don't panic, this is normal with some interfaces. For example, this Tascam US-366 has six physical inputs and six physical outputs. So why are only three listed for each in the screenshot below? 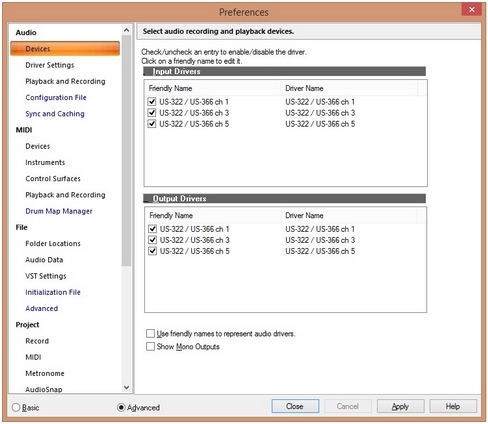 Think of each stereo pair of ins and outs as a single in or out that can be broken down into smaller components. 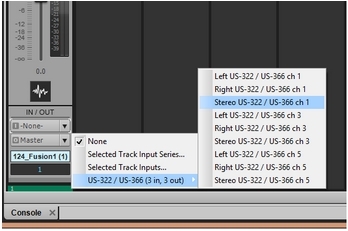 When you go to select an input for your track, as shown below, you will see Left, Right, and Stereo options for each of these odd-numbered inputs (see the screenshot below). Now that you know that all your inputs are available, go make some music!